Basic Detail: BTSC stands for “ Bihar Technical Service Commission”. 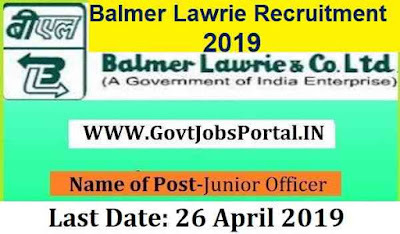 This department is looking to recruit fresher Indian candidates as a Jr. Engineers in various department of Bihar Government. Those who have completed their diploma in the respective trade can apply for this BTSC JE Recruitment 2019. There are total 6379 vacant posts which are going to be filled up through this recruitment process. 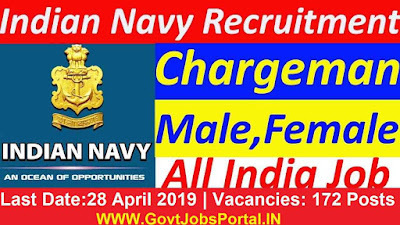 The link for applying is currently active and this remain active till 15th April 2019. So all the eligible candidates have to apply online before this date. For more information related to this BTSC Recruitment read the full article carefully. 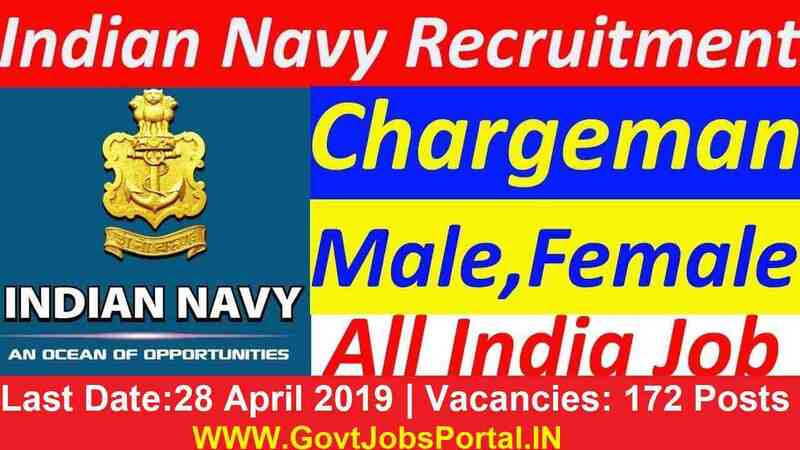 CCL Recruitment 2019 for various job profiles 2019. CCL is stand for “Central Coalfields Limited”, it is a Mini Ratna Company in the energy sector of the country. 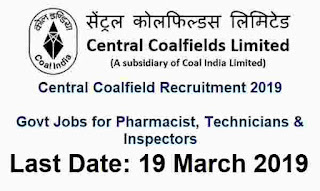 Central coalfield Recruitment department invites applications from Indian nationals for filling of the vacancies in following posts which we explained below in this job posting. For all the vacancies which are going to be filled up through this recruitment process, the salary and allowances will be allowable as per National Coal Wage Agreement (NCWA)-X. All the job profiles will carry an annual increase @ 3% of basic pay on progressive basis along with other allowances & benefits such as Annual Leave, Casual leave, Sick leave, SDA, VDA, Gratuity, Provident Fund & Pension as per Company’s Rule, Free medical facilities (for self & dependent family members), Conveyance Reimbursement, House Rent Allowance (in case Quarter is not provided) as per company’s norms. The designated applicants can be posted in any Area/Unit/ Project of CCL. The number of positions shown below are suggestive in nature & may either increase or decrease at the decision of Management. Education: 10+2 with science/ Diploma in Pharmacy registered with Pharmacy Council under Pharmacy Act 1948 with valid registration. Pay Band: Rs. 31852.56/- per Month. Education: Diploma in respective Technology from an Institute recognized by the Government. Education: Matric or equivalent qualification recognized by the Govt. Must be qualified Sanitary Inspector (S.I. Diploma or S.I. Certificate Course from an institution known by the Govt.) with at least one year professional experience. Pay Band: Rs. 29460.56/- per Month. Age Bond: Must have age in between 18 years to 27 years for applying. Applicants belonging to UR/General Cast Category (counting Economically Weaker Sections) and OBC (Both Creamy & Non-Creamy Layer) are mandatory to pay application fee of ₹ 100/- only through the Online Payment Portal (or) through Challan which can be generated from CCL website once the candidate registers in the Online Recruitment section of the website. Job applications without application fees or with incorrect details of Application in the Application form will be disallowed. SC, ST, PH Category Applicants and Ex-serviceman applicants are released from the payment of application fee that means ZERO application fee. Departmental applicants & applicants of other secondary companies of Coal India Limited fulfilling all suitability standards are exempted from payment of application fee. However, their application should be forwarded through correct channel. The selection of all the above posts through this CCL Recruitment 2019 will be based on the performance in the written test conducted by the department. Qualified applicants will be mandatory to appear for an objective type written test at any one of the test centres. The particular schedule of written test will be displayed on CCL official website www.centralcoalfields.in . Applicants satisfying the suitability necessities and other circumstances specified above in this job posting can apply only through CCL official website. Requests sent through any other manner will be summarily rejected. Applicants are requested to read the whole instruction here before applying online. Appropriate applicants need to apply through CCL website www.centralcoalfields.in. The online Application form will be open from 19th Feb. 2019 till 19th March 2019. Applicants are compulsory to have a valid personal email ID. The email ID should be kept active till the entire CCL recruitment process gets completed. No modification in email ID will be acceptable once entered. 19TH March 2019 is the Last Date to Apply. Such engagement will be purely contractual in nature and can be terminated at any time without assigning any reason or prior notice and the person so engaged shall have no right to claim either regularization or any other benefit of such engagement for any purpose in the office in which they are so engaged or in the any other office in the State Government. 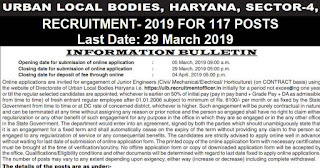 More information related to these Government jobs in Haryana under Urban Local Bodies department given below in this job posting so read it carefully till the end to know more. Engineering Degree in the same stream for the post they are going to apply. Those who have 3 years Diploma in the respected stream can also apply for these Jr. Engineer recruitment process. Applicants who has completed their Graduation under BSc(Agriculture) can also apply. Age Bond: Must have age in between 17 years to 45 years. Gen. Male Candidates have to Pay Rs.150. Gen. Female Candidates have to Pay Rs.75. Application fee can be paid through online method during the online registration of the application form. Education: Post-Graduation in concerned subject with 50% marks and B.Ed. (for all subjects except C.S.) PGT (Comp. Sc.) BE/B.Tech. (CS/MSE, C.S.) MCA or equivalent qualification as per KVS norms. Education: Graduate with 50% marks in the concerned subject as well as aggregate and B.Ed. Candidates who have passed CTET conducted by CBSE will be preferred. Education: Graduation with 50% marks with any two of the following subjects History, Geography, Economics, Political Science of which one must be either History or Geography and B.Ed. Candidates who have passed CTET conducted by CBSE will be preferred. 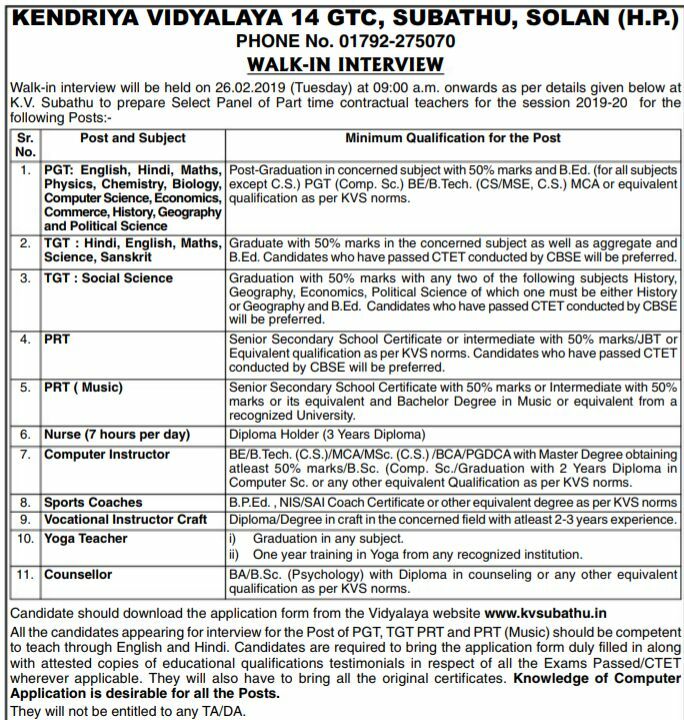 Education: Senior Secondary School Certificate or intermediate with 50% marks/JBT or Equivalent qualification as per KVS norms. Candidates who have passed CTET conducted by CBSE will be preferred. Education: Senior Secondary School Certificate with 50% marks or Intermediate with 50% marks or its equivalent and Bachelor Degree in Music or equivalent from a recognized University. Education: BE/B.Tech. (C.S.)/MCA/MSc. (C.S.) /BCA/PGDCA with Master Degree obtaining at least 50% marks/B.Sc. (Comp. Sc./Graduation with 2 Years Diploma in Computer Sc. or any other equivalent Qualification as per KVS norms. Education: Diploma/Degree in craft in the concerned field with at least 2-3 years’ experience. Education: i) Graduation in any subject. ii) One year training in Yoga from any recognized institution. Education: BA/B.Sc. (Psychology) with Diploma in counselling or any other equivalent qualification as per KVS norms. 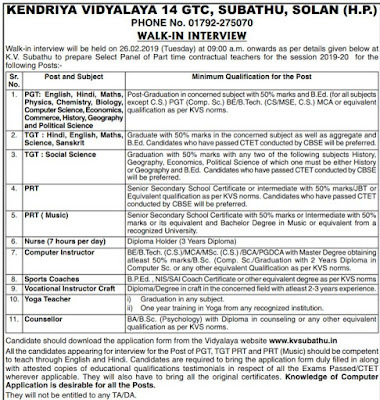 Applicant must download the application form related to this KVS Recruitment 2019 from the Vidyalaya website www.kvsubathu.in All the candidates appearing for interview for the Post of PGT, TGT PRT and PRT (Music) should be capable to teach through English and Hindi. 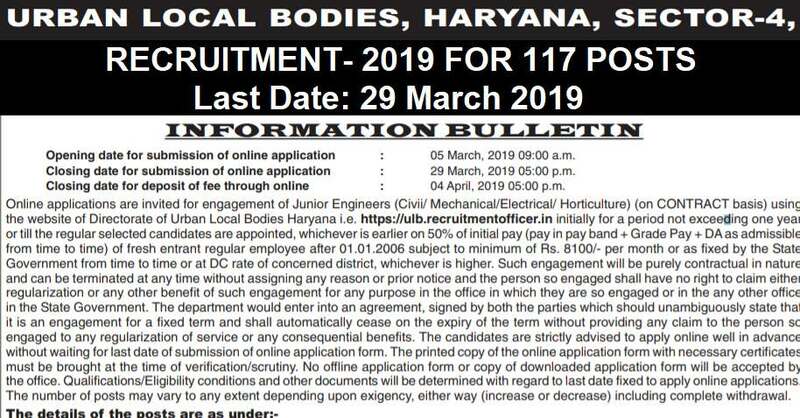 Applicants are compulsory to bring the application form duly filled in along with attested copies of educational qualifications testimonials in respect of all the Exams Passed/CTET wherever applicable. They will also have to bring all the original certificates. Knowledge of Computer Application is desirable for all the Posts. 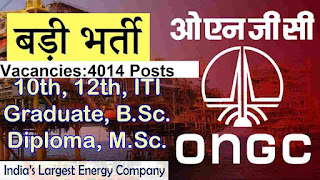 IOCL (Indian Oil Corporation Limited), is one of the largest commercial undertaking in India and a Fortune “Global 500” Company, as a measure of Skill Building Initiative for the Nation, invites applications from candidates with following qualification for engagement as Apprentices in Panipat Refinery & Petrochemical Complex, Panipat Haryana under Apprentices Act, 1961/1973 in the Disciplines mentioned below. 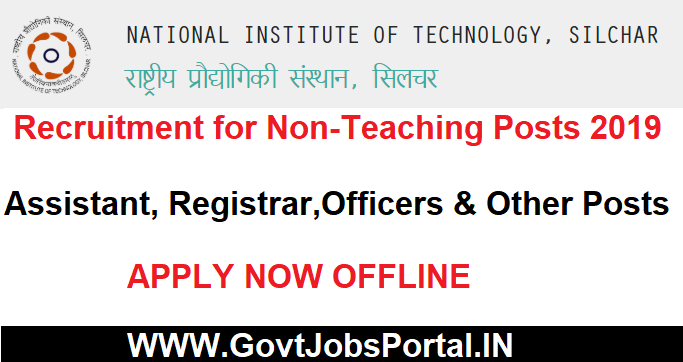 Education: ITI Pass and Diploma Holder can apply. 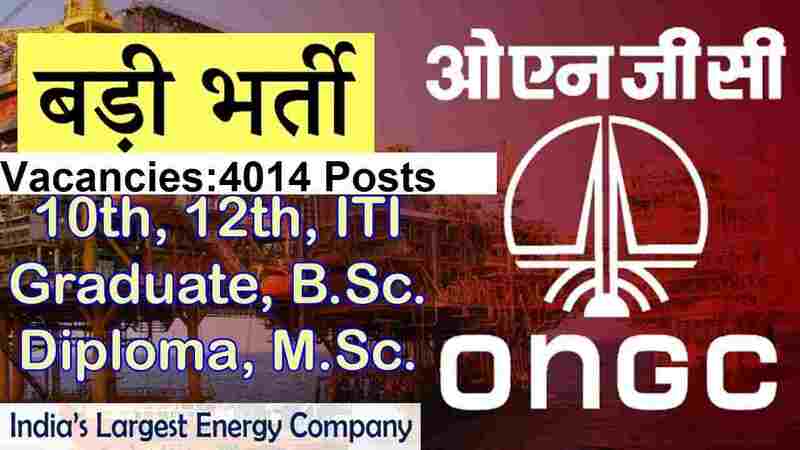 How to apply for this IOCL Recruitment? 1. A applicant can apply for traineeship training at Panipat Refinery & Petrochemical Complex by opting “Panipat Refinery & Petrochemical Complex” from amongst other Refineries options. 2. Applicants have to apply online (on-line application portal) which shall open at 10:00 hours on 16/02/2019 and close at 17:00 hours on 08/03/2019. 3. Applicants meeting the set of suitability standards for a seat, may visit the official website of IOCL DEPARTMENT: www.iocl.com and go to ‘What’s New’ > go to latest job openings > Go to engagement of apprentices under Refineries Division > Select the link of Panipat Refinery & Petrochemical Complex. The applicant must have a valid email ID and mobile phone number which must continue valid for at least next 1 year. 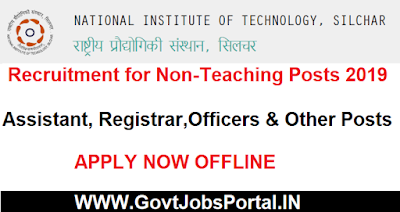 All upcoming memorandum with applicant will take place only through website / email / mobile phone. Requests submitted through on-line mode will only be acknowledged. 4. The applicant should have scanned copy of colour photograph & signature in jpg format (size less than 50 KB) ready before applying on-line. The photo & signature in digital form will be required to be uploaded. 5. After successfully applying / registering on-line application, the candidates are advised to send the printout of the on-line application form, duly signed by him/her, to the Dy. 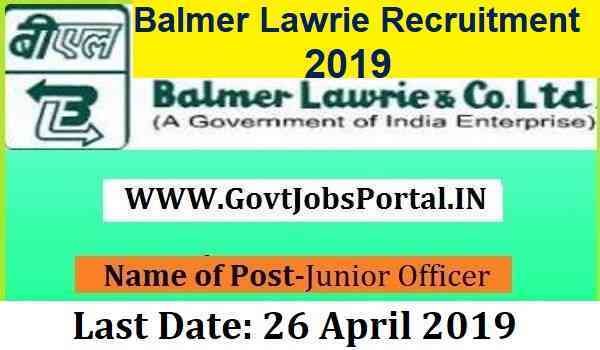 General Manager (HR), Indian Oil Corporation Ltd., Panipat Refinery & Petrochemical Complex, P.O. Panipat Refinery, Panipat Haryana-132140, along with photograph & all supporting documents (self-attested) as mentioned in the check list attached as Annexure-III, by ordinary post only so as to reach latest by 22.03.2019. 6. The candidates shall ensure that printout of the online applications is sent to the concerned authority of the Refinery unit applied for. Application of the candidate submitting online application for one Refinery unit, and sending the printout of the online application to another Refinery Unit/location shall be summarily rejected. 7. Candidates, if they desire may submit the print out of the online application along with documents at the venue of the Written Test. 16TH Feb. 2019 is the Starting Date to Apply. 8th March 2019 is the Last Date to Apply.